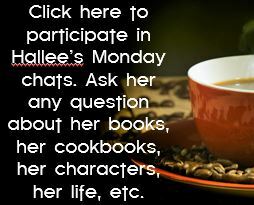 ← Monday Morning Chat – We’re Talking Cookbooks! Interview with Author Ada Brownwell and a Giveaway! Welcome to Readers Write to Know! I asked you, my readers, what questions they would ask their favorite authors if given the chance, and the authors visiting my blog answered them! This week, I’m excited to bring you Ada Brownwell. Reading Ada’s interview in the “about” section, I felt like I’d been swept back in time to an old west story! I would have loved to seen her town when she first moved there! I enjoyed all of Ada’s interview and hope you do, too. 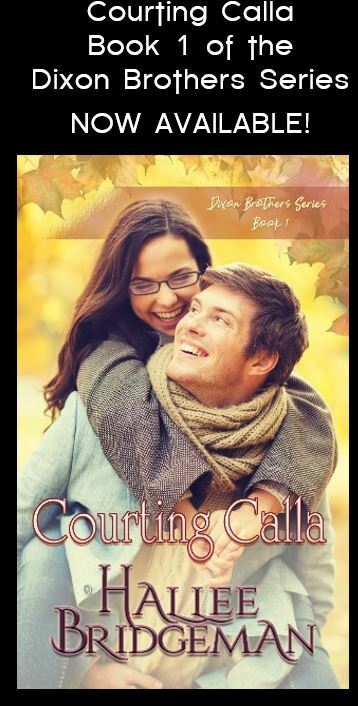 She’s giving away an ebook of her latest release, so read on to see how you can enter to win! Tell us a little bit about yourself. I became a writer when the Lord sent us to the Utah desert. Three bars and you could buy groceries in two of the bars. No church, but a motel, a schoolhouse, a post office, the railroad depot where my husband worked as a telegrapher/agent, an acid plant, a uranium mill, and 100 people. I thought we’d missed God’s will until He got a hold of my heart, put fire in my Spirit, and I received permission and started a Sunday school in the school. God sent a friend to help me within a week after I prayed God would send someone. 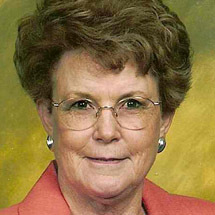 She was a wonderful Christian, my age, and a wonderful helper. I also began writing for Christian publications and became a newspaper correspondent in the five years we lived there. God changed my life and my future. Tell us about your current release. 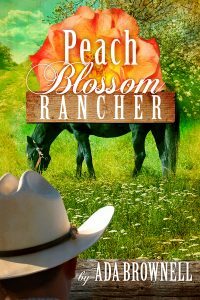 In my western historical romance, Peach Blossom Rancher, the leading man, John Lincoln Parks, yearns for a wife to help rebuild the ranch he inherited. He eyes Valerie MacDougal, a beautiful young widow who homesteaded, but she also is an attorney who hopes to help those wrongly held in the asylum. One of those she hopes to help is a physician who had one seizure. Will the doctor ever be set free from the asylum? Will John marry Valerie or Edwina Jorgenson, the feisty rancher-neighbor he constantly fusses with? This neighbor has a Peeping Tom whose boot prints are like the person’s who dumped a body in John’s barn. Will John even marry, or be hanged for the murder? If you knew ahead of time your book would benefit only one person on their spiritual journey, would you still write it? Probably. At first I said “absolutely.” But I can’t say what I’d do when I’m not in that position. Do you feel pressured to compromise your standards in order to reach a larger audience or be more successful? No way. The only reason I write is to be a blessing to others. My brand is “Stick-to-Your-Soul Encouragement,” and if I compromise spiritual standards, I’d be better off writing wellness and health books and articles, which I could do because I spent seven years on the medical beat at The Pueblo Chieftain. I picked a lot of brains and attended many illuminating health conferences. What do you think is lacking in Christian Fiction? Some of it isn’t a worthwhile investment of a reader’s time. I like a story that is more than romance. To be enjoyable there must be deep suspense. The leading character should have a significant goal and numerous people and circumstances stand in the way of reaching that goal. Along the way to achieving what he needs or wants the character meets someone special–and love blossoms. The character should grow spiritually and mentally throughout the book. Some fiction labeled “Christian” flirts with obscenity because of writers who like to create “sexual tension.” Other Christian books don’t have enough redeeming value to encourage a reader when the story is completed. I love to feel spiritually uplifted by what happens (not long preachy sections). Reviewers often mention my character, Polly, who has a major part in Peach Blossom Rancher, because their hearts dance with Polly when she dances a little joyful circle. Her feet go to dancing when she talks to the Lord or a scripture blesses her. With all those characters in your head screaming to get out how do you write fast enough to get it all down? I take notes and then sit down as quickly as possible and write as fast as I can. The first draft of The Lady Fugitive was finished in five weeks. What’s the first major news headline that you can remember and what do you remember? The first time I saw television news I was at a neighbor’s house and Castro’s men took machine guns and mowed people down in front of a pit. They dropped and soon a bull dozer covered the mass grave. Made me know Communism and false religions are a threat to Christians and I should know all the scriptures I can in case my Bible is taken away. I also need to be ready to meet God at any moment. Do you have your plotline and character development already laid out before you begin writing a book, or do they develop as you write? I have a general outline and character descriptions. In the Peaches and Dreams series, I create characters that have experiences similar to what some members of my family have gone through. The Lady Fugitive idea came from my maternal grandparents. Peach Blossom Rancher continued with some of the characters of The Lady Fugitive. The next book with the working title Ritah reflects some of the things that occurred in my mother’s life. She was born in 1900, so fits the era I love to read and write about. Do you have pre-determined length in mind when you first begin a book? Yes. Now I’m going to shoot for 75,000 words because paperbacks are cheaper to print when they’re shorter. With The Lady Fugitive, the first book in the Peaches and Dreams historical romance series, I had 75,000 words when I pitched it to an editor. She was excited about it and suggested I make it 100,000 words. I did it, submitted it, but later the editor told me I didn’t make the cut for the number of historical romances her traditional publisher planned to publish that year. The bad news was those who made the cut already had been published by that house. With the downturn in the demand for paperbacks and publishers and bookstores losing money, their book budget had been cut. So I was fortunate to have the book picked up by a subsidy publisher where the author pays part of the publishing costs, yet the publisher is royalty paying. When I found that publisher it was an amazing connection because soon the small Christian publisher, Elk Lake Publishing Inc., became royalty paying only (no subsidy) and published the second book in the series, Peach Blossom Rancher. What advice do you have for aspiring writers? Observe life, study how good writers show instead of tell. Choose a character and write down everything you can think of about him and his problems. Always add complications to his or her life even though you hate to let that happen. Stick in a character who will bring in humor, too. Ada is giving away an ebook of PEACH BLOSSOM RANCHER. See below how to enter to win! 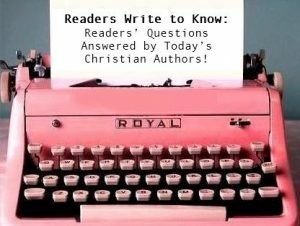 This entry was posted in Blog, Hallee's Interviews with Christian Authors and tagged ada brownwell, elk lake publishing, interview, interview with christian author, peach blossom rancher, readers write to know. Bookmark the permalink. 1 Response to Interview with Author Ada Brownwell and a Giveaway!